palm oil Archives - simple.green.organic.happy. 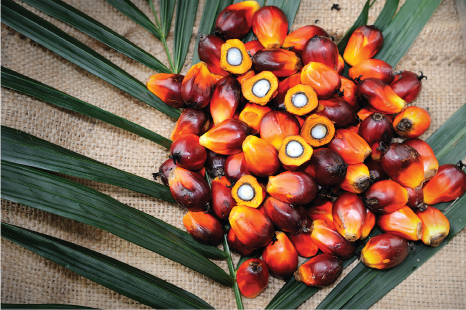 Palm oil is in a lot of things, from chocolate and ice cream to lipsticks and soap. It’s also been demonized to what I think is an unfair extent. Here are five things you probably didn’t know about Malaysian palm oil—and might have you thinking differently about this common ingredient. Fat, in general, has been demonized for the last couple of decades, but the medical community is starting to walk that position back. Your body needs fat to function, and calorie for calorie, “real food” options with fats tend to be more nutrient dense than their low fat counterparts. You do want to stay away from industrial trans fats, and as it is trans fat free, palm oil is a viable replacement for partially hydrogenated oils. Malaysian Sustainable Palm Oil comes in golden and red varieties; the red palm oil, like the one pictured, is full of carotenoids and phytonutrients (you’ll also find these in squash, carrots, oranges, and apricots) as well as vitamin E (which helps boost immunity, widen blood vessels and fight free radicals). Bread baked with palm oil has nearly ten times the antioxidant power of vitamin E over bread baked with canola oil. Palm oil’s smoke point is over 450 degrees, so it is more resistant to oxidation (the creation of harmful free radicals). For reference’s sake, olive oil begins to degrade at 380 degrees, canola at 400 degrees, and coconut oil at 347 degrees— so if you’re like me and do a lot of sautéing, palm oil is a smart switch to make. AND, Malaysian palm fruit oil can be stored at room temperature for 12 months without going rancid. 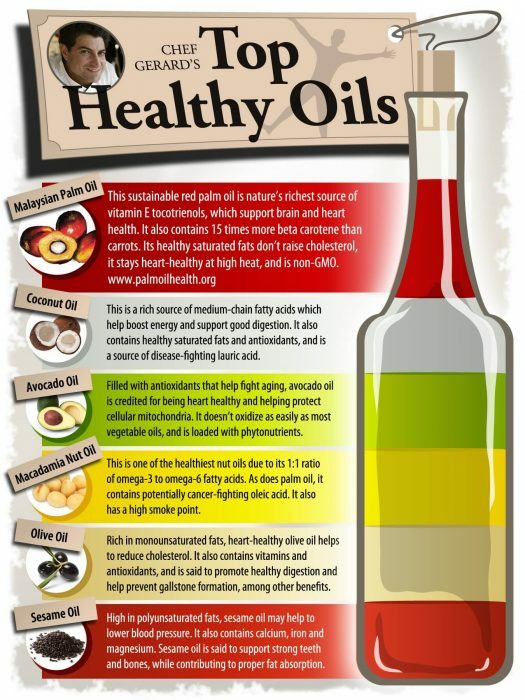 Other oils generally don’t last that long; olive oil can, but with refrigeration. I like keeping salad healthy with an oil and vinegar salad dressing, but I don’t love the taste of olive oil really. For most of my cooking, I use coconut oil because it’s paleo compliant and that’s what people always noted in their paleo recipes (I’m nowhere near 100% paleo but I try). Palm oil is also paleo compliant and, well, it doesn’t taste like coconut, which is a definite bonus as far as my family is concerned. (I’ll never get used to the taste of coconut oil eggs.) You can also sub it for vegetable oil in baking recipes. 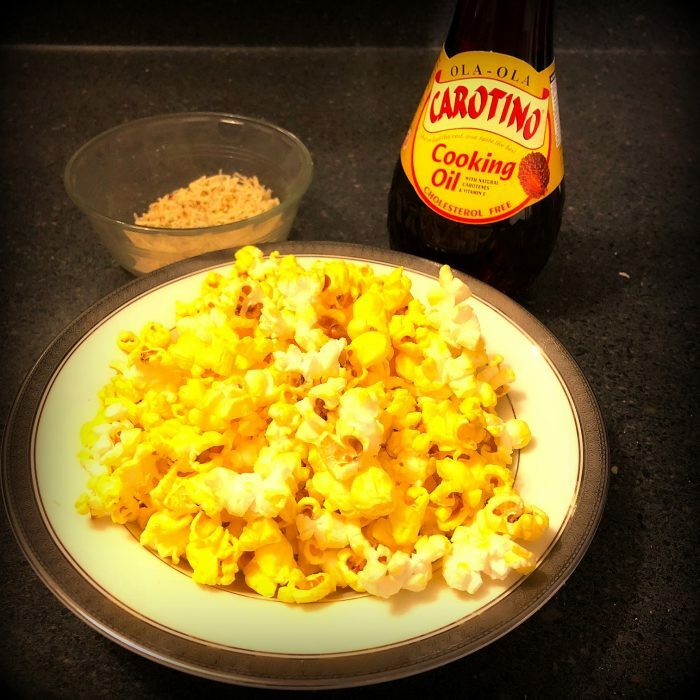 We made popcorn with our palm oil and it’s true, we couldn’t taste it. (It did color the popcorn, so keep that in mind for when aesthetics matter.) We also added parmesan and some salt-free grilling seasoning which was pretty bomb. Bear with me here for a second. In Malaysia, one acre of oil palm produces 11 times more oil than an acre of soybean, 10x more than sunflower and 7x more than canola, and the trees don’t need to be cleared and replanted every year like corn, canola and soybean crops do. This, in theory, results in a lesser environmental impact and more stable living for wildlife, keeps costs down, and keeps villagers employed. The Malaysian palm oil industry has also partnered with the Malaysian government on the Malaysian Palm Oil Wildlife Conservation Fund (MPOWCF), which has a hand in conservation efforts throughout the country, including supporting orangutans and elephants. Let’s talk about the orangutan in the room. I know some people are boycotting palm oil due to deforestation depriving orangutans of their natural habitat. I understand that reaction, and once upon a time I probably would have gone along with it, but it’s short sighted. Malaysia committed decades ago to preserving more than half of its rainforests, and it has preserved even more than that. They’ve also dedicated themselves to sustainable agricultural practices, as outlined above. At this stage, it makes no sense to boycott already existing palm oil plantations, especially since they are more long lived and more productive than other seed oil farms. DONATE to support orangutan research, rehabilitation, and protection (along with whatever other animals you feel strongly about). Activism is good, but activism that works towards conservation and creating conditions where agriculture and wildlife can co-exist with minimal harm is more realistic and sustainable— and honestly, has more impact in the long term. It’s a big world we live in, with a lot of people to feed and employ. If anything, Malaysian palm oil plantations should act as a starting inspiration to examine agricultural practices here in the US, and how we can compel these large industries to commit to sustainability in the years ahead.